Item # 314657 Stash Points: 5,495 (?) This is the number of points you get in The Zumiez Stash for purchasing this item. Stash points are redeemable for exclusive rewards only available to Zumiez Stash members. To redeem your points check out the rewards catalog on thestash.zumiez.com. Get out there and shred like Chris Wimer with his all new Skeletal 8.5" pro model skateboard deck from Zero. Made from a traditional 7-ply construction, this board offers premium pop and durability that comes complete with an edgy graphic of a sorrowful graphic of a skeleton. 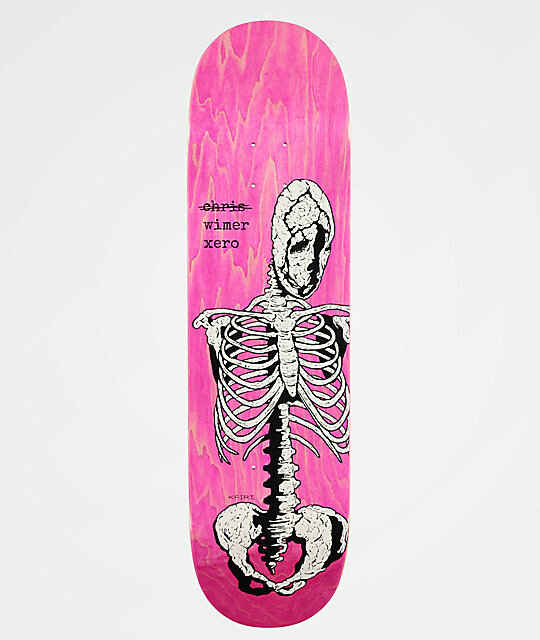 Wimer Skeletal 8.5" Skateboard Deck from Zero. 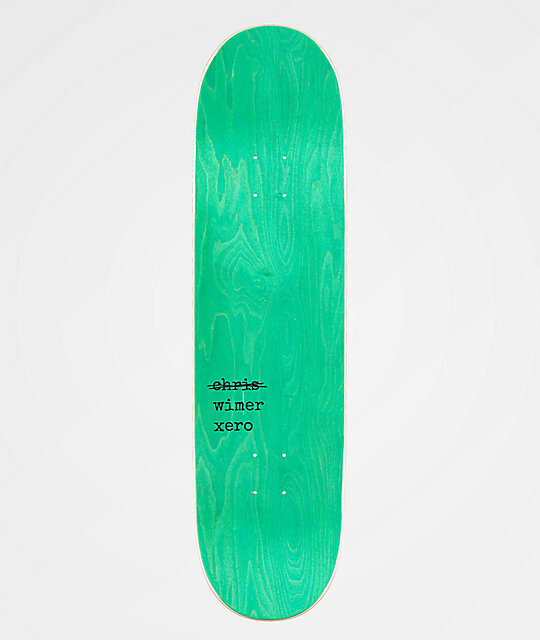 Signature Chris Wimer pro model deck.